Every woman longs to know that God really hears her. The "God Hears Her" devotional (now a journal and worship CD as well) from Our Daily Bread is a worldwide phenomenon filled with personal stories, Scripture passages, and inspirational quotes that lift women up and remind them God is bigger than the trials they face. 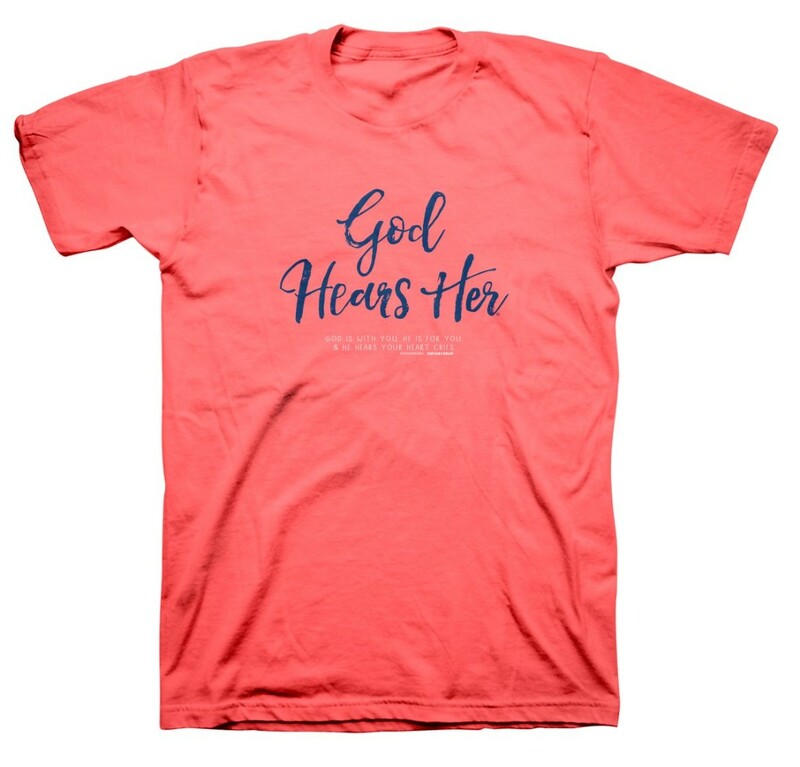 The "God Hears Her" T-Shirt offers holy encouragement for women who want to remember whose they are, and to share that message with others. God Hears Her T-Shirt, Medium was published by Kerusso in January 2018 and is our 67378th best seller. The ISBN for God Hears Her T-Shirt, Medium is 612978466490. Be the first to review God Hears Her T-Shirt, Medium! Got a question? No problem! Just click here to ask us about God Hears Her T-Shirt, Medium.